Summer is officially here. And it is hot. Super hot. It’s so hot that I’ve moved away from my standard bowl of oatmeal most mornings, and that’s saying something. Luckily, this heat has inspired me to experiment with several new smoothie recipes, and I’ll be rolling them out in the next several posts. Get excited. A few weeks ago I shared my Strawberry Banana Power Smoothie. 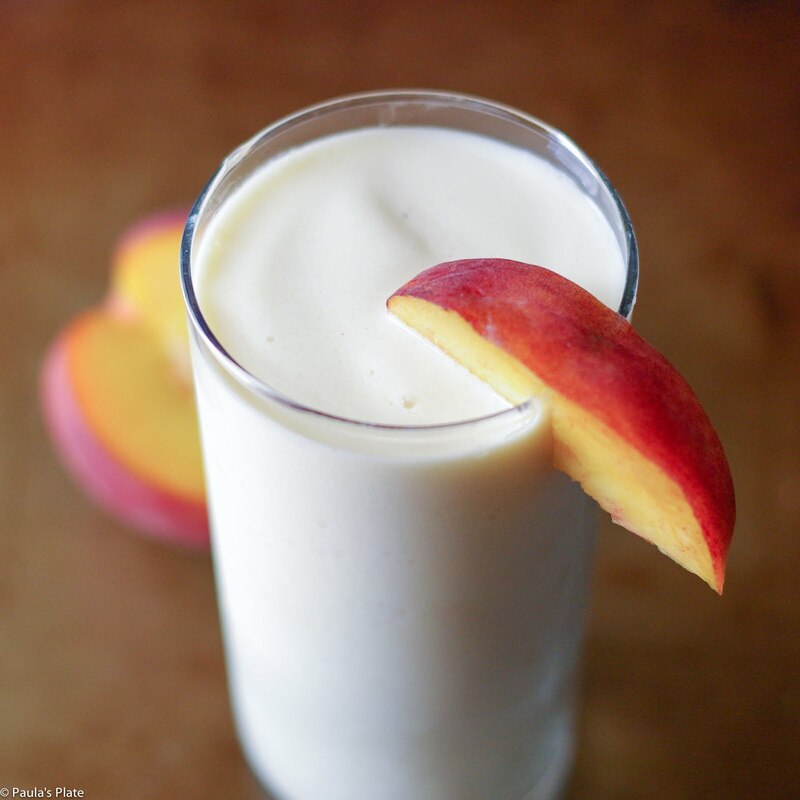 Today I am equally as stoked to introduce my Peach Pie Smoothie. Peach Pie? 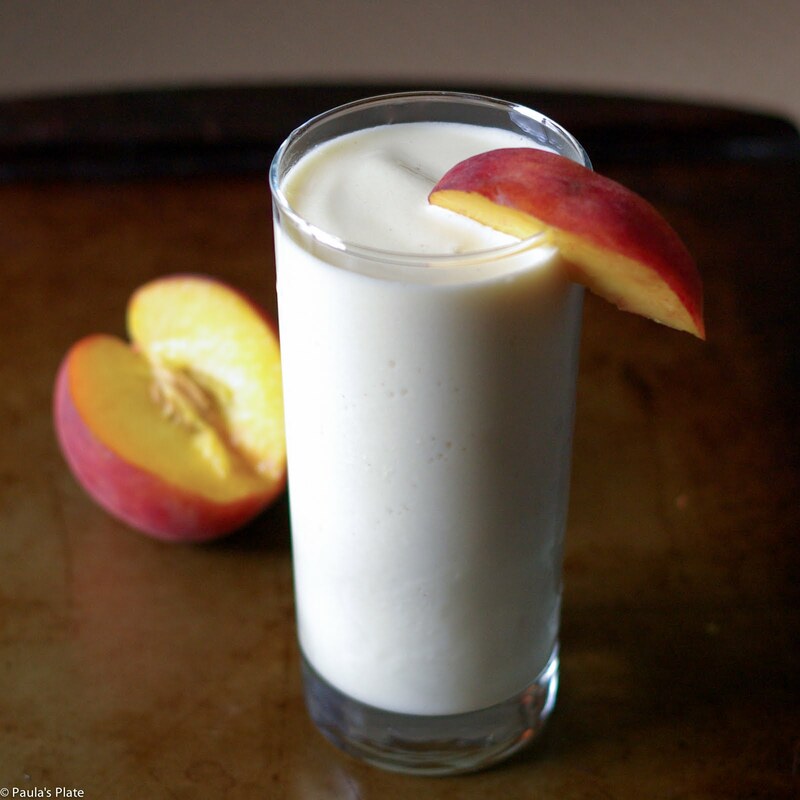 Can a smoothie possibly taste like peach pie? Why yes. It can. It does. And it is A-M-A-Z-I-N-G. So amazing, in fact, that once you finish reading this post you should go make yourself one. It is dessert in a glass…and you get to drink it for breakfast! Peach pie breakfast for the win! In addition to the fact that this smoothie tastes like heaven in a glass, I also love that it is packed with protein from the greek yogurt. It’s a great post-gym option when you’re looking for a quick way to refuel. 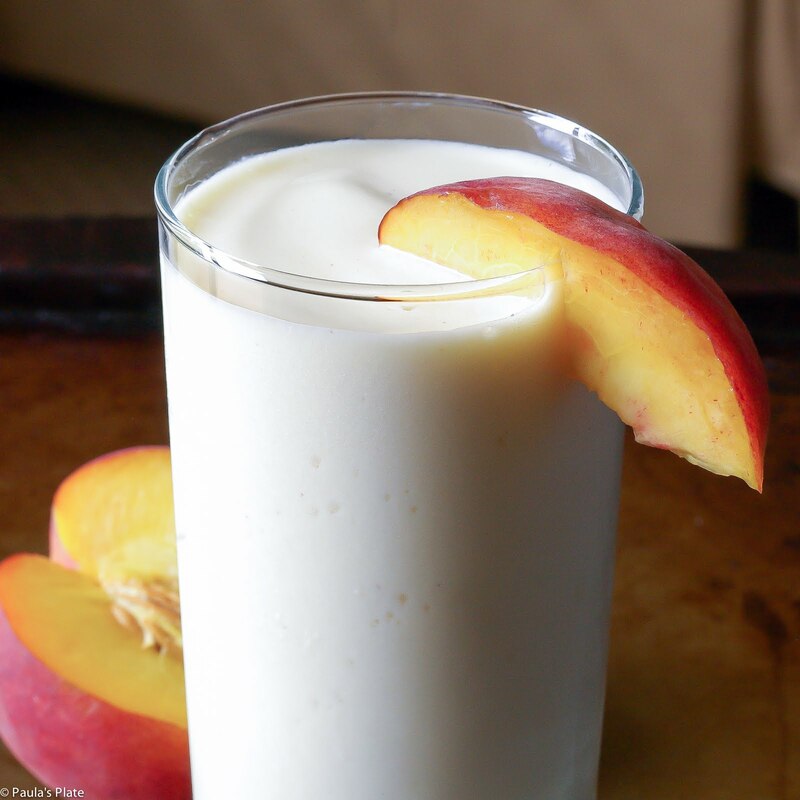 I usually make my smoothie with frozen peaches, because I always have them on hand. Also, their frozen state adds to the smoothie’s delicious thickness. That being said, it is high peach season right now. If you decide to try this recipe with fresh peaches, please let me know how it goes! * I have also used a few pinches of pumpkin pie spice when I’m feeling lazy and don’t want to pull out all the different spices. It tastes delicious this way, too. Put all of the above ingredients into a blender. Blend until completely smooth and enjoy!